Can you do an article about how to increase power in a diesel car? I presume the same simple mods - such as intake, exhaust and increasing boost can work - but what about more substantial mods such as larger turbos, internal work, etc? Typical breathing mods can give increased power and so can altering the injection timing. Unfortunately, we are yet to see any substantial diesel mods performed in any Australian workshops – do any readers know where some are taking place? 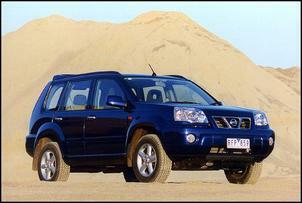 I had a good look through your new car tests but saw no test for the Nissan X-Trail. You have done the CRV, Forester and Ford Escape. When is a review likely?? Your article "Prime Time for S15" (Prime Time for S15) only gave the kind of problems that relate to a modded car. There are several problems that came free with the S15 as standard, but random, inclusions. Some of them are hard to locate but are easy to fix. One seems unfixable. 1. Rattle No.1 - in the steering wheel. This is caused by the springs under the horn button rattling. The common fix is to duct tape around the springs. The airbag in there requires the repair to be done carefully. 2. Rattle No.2 - in the roof lining. This masquerades as a thin rattly/squeaky sound in the dash and is very hard to pinpoint. 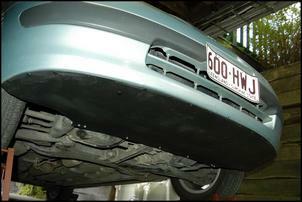 It is caused by the waxy coating on the topside of the roof lining making/breaking contact with the roof. Pushing up on the lining above your head will silence it. A permanent fix is to stuff a foam or double-sided tape layer in there. Both these rattles seem minor in themselves but they magnify over time. My wife's 1996 Astina Hardtop has not a single rattle after 175,000km - the Nissan had them from my original purchase at 27,000km. 3. The electric window motors fail. In the early days, Nissan would replace these under warranty with a modified motor. The problem is caused by the built-in limit switches becoming erratic. Replacement motors do not have the problem but are no longer under warranty. 4. The fuel gauge sometimes has a mind of its own and suddenly drops about a quarter tank, then it comes back to proper position. I am told that this relates to a problem in the sender unit in the tank. I've not yet got to the point of wanting to buy another sender unit as nobody can assure me the replacement unit has the problem solved. The S15 is a fun car to drive. The already pretty good handling of mine was revolutionised by front strut tower brace and a Whiteline camber bolt and swaybar kit. For all the fun, the flashing SRS problem has sometimes brought me close to selling it. Dear Mr. Edgar, here is a recently received email relating to my book (see Book Review: The Nitrous Oxide High-Performance Manual). Although he's not a professional, it seems my efforts are appreciated and this is only one of many such emails I've received since the book was published. Have the book and almost finished already. It is very interesting, informative and easy to look up specifics. I am looking forward to adding a system to my car soon! “Trevor, Just received your book this morning and read it cover to cover - superb job, very useful and cleared up a lot for me, gave me some real direction Well done! 1. Is your Luxeon headlight system using a resistor? 2. I'm interested in hearing more about adapting alternators to a bike. Do you have any links that I can find out more from? I have been a subscriber for some time and really appreciate all the interesting projects in the technical section. Today, as I was driving to work, I thought of a tech article that I would like to see and thought I would share it with you. If possible, I would be very interested in an article about Do-It-Yourself under-body panel fabrication - similar to technology used in newer cars and in the racing industry. Specifically, I would love to learn how to make panels that would improve aerodynamics while increasing downforce and decreasing wind and road noise in a similar fashion to your other Do-It-Yourself projects. I would start this project myself but would be afraid of an inverse effect, and actually create lift. Your technical expertise would be greatly appreciated. Heat does not "naturally travel upwards". Heat flow is not subject to gravity. It is only hot fluids - liquids and gases - that rise because their density is lower when they are in an environment that consist of the same fluid that is less heated. Mounting a heat-sink below a heat-generating electronic component attached to a circuit board does not mean the heat will flow upwards into the circuit board rather than down into the heat-sink. That's silly pseudo-scientific nonsense like so much of what's talked about sound systems. The only way in which the vertical order of the circuit board, component and heat-sink has any affect is that if they are "upside down" - air convection is working against the heat-sink rather than with it so it is less effective and everything runs hotter. The best way to mount a heat-sink is beside the component with the vertical air paths to maximise convective airflow up them. I really like the look of the Hyper-Form Plug-in Shift Indicator (as seen in Hyper-Form Plug-in Shift Indicator ) but haven’t been able to find it on eBay or general search engine browsing. Where does one buy this great product? We’re not sure if the Hyper-Form Shift Indicator is still in production – can any readers suggest a current outlet?